So you're ready to sell your home - but what can you do to ensure that you get top dollar. While there are many techniques that can help bring in top dollar for your home below you'll find a few specifics that have helped homeowners like yourself sell their home for more. 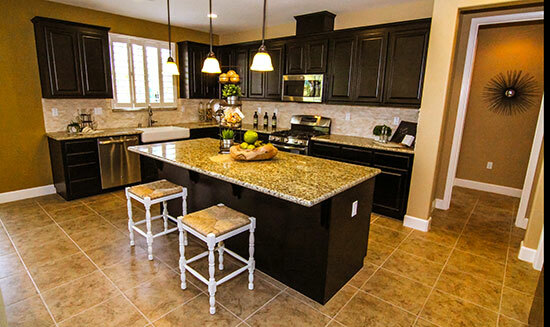 While examing each option below we encourage you to discuss each solution with your realtor. Each option has the ability to create that extra "pop" needed to sell your fast and for the full asking price, but they don't come without proper planning. We will work with you to ensure your home looks great both in person and online. We will work with our creative team to properly market your home to the public. We take the headache out of selling your home and help you sell your home for more money. Staging your home is one of the most beneficial things you can do. Allowing future homeowners to see your home in the best light with furniture placed properly to maximize space has helped homeowners get thousands more for their home. Having great photos of your home will help get home buyers through your doors. While most realtors may use standard cameras or even their phones, we use a professional photographer for the best photos possible. Having a virtual tour of your home gives potential home buyers a realistic idea of what it is like to live in your home. While it is not needed for every listing, we can help you decide if it is right for you. An open house is a great way to get people in the door. If your home is in need of an open house, there is a right and wrong way to have one. Our team will ensure the best open house possible. Perhaps the most important thing you can do is properly market your home online. Our team will take your property and market it to help you have the most success. Using email marketing is so important because when done correctly, every person who is looking for a home in your area will be alerted when your home goes on the market. This will help you find the right buyer, quicker. While print marketing may not be as effective as it used to be, using print materials can still add value to selling your home. From listing sheets to features, and more, our team will help create documents that help you sell your home. Lastly, listing your home on the MLS will alert all realtors and potential home buyers that your home is now on the market.